On Friday 10 April, Gill Hicks will boldly step off the top of Adelaide’s tallest building and abseil 34 storeys below to raise funds for AnglicareSA’s autism specific early learning childcare centre. Ms Hicks is known as a survivor of the 2005 London terrorist bombings— when she lost both her legs from below the knee and suffered severe and permanent injuries. Showing great strength to survive and fight for her life, Ms Hicks defied the odds and learnt to walk again using prosthetic legs. Now an internationally successful motivator and inspirational advocate for peace, Ms Hicks will boldly abseil 132 metres to mark 10 years since the London bombings and 10 years of gaining in strength and confidence, while raising funds for children living with autism. “This year, 2015 is special so what better way to commemorate than facing fear, finding confidence and being strong,” Ms Hicks says. The event, Abseil for AnglicareSA is the first of its kind in South Australia and will coincide with International Autism month. 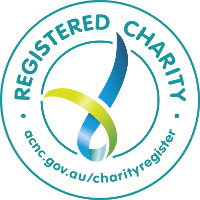 All funds raised will go towards AnglicareSA’s Autism Specific Early Learning Childcare Centre and help children with autism and their families live life to the full. AnglicareSA’s Daphne Street Early Learning and Child Care Centre was the first in Australia to offer specialised education and care for children aged two to six who have been diagnosed with autism. It provides valuable, high-quality early education for up to 50 children each day, while supporting their parents and carers through therapy, assistance and education. Each child has a unique learning plan that caters to their individual developmental needs, which has been prepared by specialist educators and Allied Health practitioners. Featuring goals developed by specialist case managers in consultation with parents, the plans are used to measure the child’s progress as they develop their motor, communication and social skills.